Settling down to your favorite Netflix show in your Dubai hotel room only to realize it’s no longer there, or trying to live stream the latest BBC show only to find it’s been geo-blocked in your current nation. It happens with so many media outlets, from YouTube to Netflix and your everyday channel’s on-demand services. But there are ways around it. Why do some Websites use Geo-blocking? Geo-blocking is a security measure used by various outlets and websites to ensure only people in certain locations can access their services or media. It’s commonly used in TV streaming, blocking you dependent on where your IP address’ location is. The BBC iPlayer is a good example of this. Because it’s ultimately funded by the British taxpayer, it doesn’t allow users to use the service in other parts of the world. In terms of Netflix, they only have the rights to broadcast certain shows in certain locations, so if Netflix France doesn’t have the rights for your favorite show on Netflix US, then you won’t be able to continue your streaming in a Paris hotel. It’s a relatively simple concept, and you’ll be pleased to know there’s a very simple way around it. Websites want to block geographical areas for a number of reasons and service providers like Netflix and the BBC use geo-blocks to restrict their audiences to a particular location. In some cases, it can even be that licensing restrictions are to blame which is why your favorite US TV programme might not be available to you in the UK. Geo-blocking can also be used in order to maximize the effect of promotional campaigns because some companies may want to target a specific region or demographic. Although it can be extremely frustrating, in some instances geo-blocking is essential as providers don’t want to fall foul of national laws and regulations. If you’re a business promoting age-restricted products and services, such as alcohol or gambling, you may look to utilize geo-blocking to restrict actress to your site in countries or areas where such products are prohibited, or where these types of businesses can’t legally operate. Under some circumstances, IPs from different locations can also be blocked if traffic from those sources is hostile or aggressive, such as denial of service cyber attacks. Internal company compliance and regulations are also an important factor at play. A large number of online service providers now operate across multiple jurisdictions and it’s a delicate balancing act trying to conform to multiple difference compliance and tax regimes. If you ever encounter blocked access to online shops when you try to access them from abroad, for example, it’s likely that the retailer is trying to comply with a national law or trying to enforce an internally-formed policy. However, these practices have attracted criticism from some quarters because if internet users want to tap into the EU-only market from abroad, they will usually find a way. It’s also virtually impossible to introduce the sort of technological solutions involved in controlling access without sacrificing the fundamental capabilities of the internet itself leading many to encourage the EU to work towards delivering a common worldwide market instead of just focusing on member countries within the Union. The proliferation of mobile and smartphone devices also poses further problems. At the current moment, licensing regulations and the essential geo-tech used in phones means it’s technically impossible to access services like the BBC iPlayer outside of Britain, even though users have paid their license fee and should rightly expect to have access to the service. For non-EU countries such as Switzerland, citizens have similar problems when trying to travel and watch content in other EU member countries. The introduction of a single digital market could change that and break down borders but can advanced geo-tech and changes to roaming are bought up to speed? As criticism and pressure grow more and more people will be pushing technology manufacturers to do just that so that a fairer and more inclusive system can be implemented that will benefit people wherever they are on the continent. Although some champion the benefits of permission-less innovation others question whether an EU-only digital single market is even the best way forward. Many region-specific suggestions so far have focused on establishing a network which would virtually act as a subset of the internet. Establishing a highly controlled network within the EU where geo-blocking is banned would essentially create a geo-blocked experience that is exclusive to people in Europe, which wouldn’t be fair to others across the globe and therefore would not be sustainable. Although debates about what legislation to introduce still rumble on, you’ll be pleased to know that geo-blocking can be got around using a variety of different methods. A proxy is often used as they almost act as an intermediary, passing on your information via them, using the proxy’s IP address. So all you need to do is choose a proxy from the country you need access from to unlock a geo-block. Also read: How To Access Blocked Websites & Bypass/Unblock Them? Alternatively, a VPN, or virtual private network, is another method which is incredibly useful for not only bypassing geo-blocking but adding extra security too. Remote access VPNs enable users to access a network and services remotely. The connection between the user and the private network happens via the internet and the connection is secure and private. This type of VPN is useful for home users as well as businesses. Home users, or private users of VPN, usually use VPN services to bypass regional restrictions on the web and access blocked websites. A Router-to-Router VPN or Site-to-Site VPN is mostly used by businesses. Companies that operate across many different locations may use this type of VPN to connect the network of one office location to another. When multiple offices of the same company are connected using a Site-to-Site VPN type, it is known as Intranet based VPN. 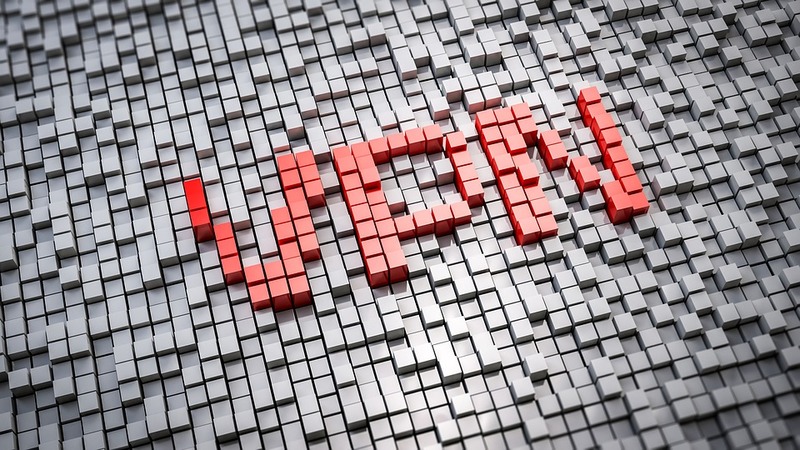 VPNs also allow you to connect to a variety of different of servers across the world with the website then believing you’re operating out of the country in which you’re connected to via the server. It’ll also act as another layer of security as a VPN is ultimately a private network that tunnels through a network making you invisible when connected to public wifis and such like. This makes you less likely to be hacked and gives you extra comfort in the knowledge you’re essentially a ghost on a network. It’s so simple to get around geo-blocking these days and you can get a NordVPN free trial which is among the best on the market or you can simply grab any of these from here: NordVPN, Hotspot Shield, HideMyAss, UnoVPN, BulletVPN. You can find out its benefits through the many reviews online, and generally, it’s fairly good value too should you commit, especially if you do spend a lot of time traveling across countries. I have been using a VPN for over two years now, I’m using NordVPN currently, switched to it from PIA because the latter doesn’t unlock Netflix content. Geo-restrictions are terrible, as a paid user of Netflix I expect to have full access to whatever content they provide, and as you outlined in this article it’s frustrating to not be able to do it whenever I want, or wherever I am for that matter. I’m happy to say I can bypass all geo-restrictions using a VPN.